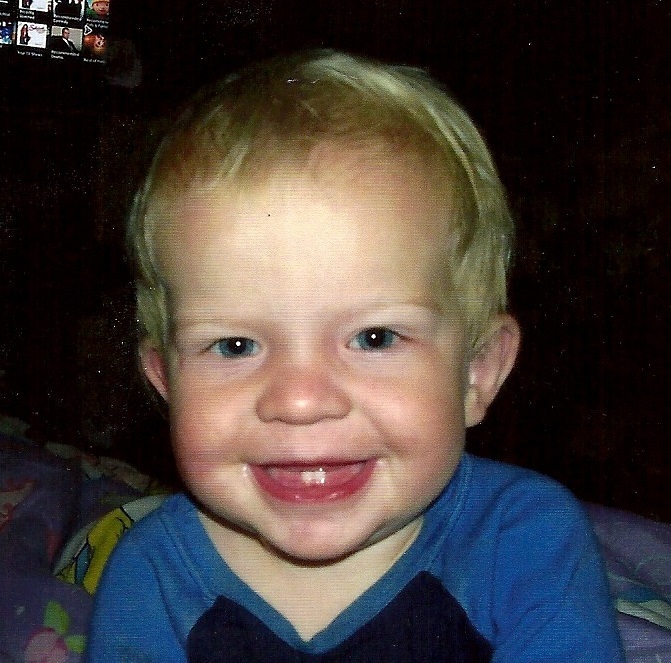 FULTON, NY – Henry Michael Hutton, 18 months, of Fulton, went to fly with the angels Friday October 25, 2013, at home in the arms of his loving parents, surrounded by family. He loved camping, animals, Kit-Kat bars, waving to his friends and making people smile. He was predeceased by his grandparents, Donald and Jean Hutton and Warren and Jeanette Cronk. Henry will be greatly missed and loved forever by his parents, Michael and Janet Cronk Hutton; sister, Grace; many aunts, uncles, cousins and loving friends. A Mass of Christian Burial will be celebrated 9:30 a.m. Thursday at Holy Trinity Catholic Church, corners of South Third and Rochester streets, Fulton. Calling hours will be 4 to 7 p.m. Wednesday at Foster Funeral Home, 910 Fay St., Fulton.